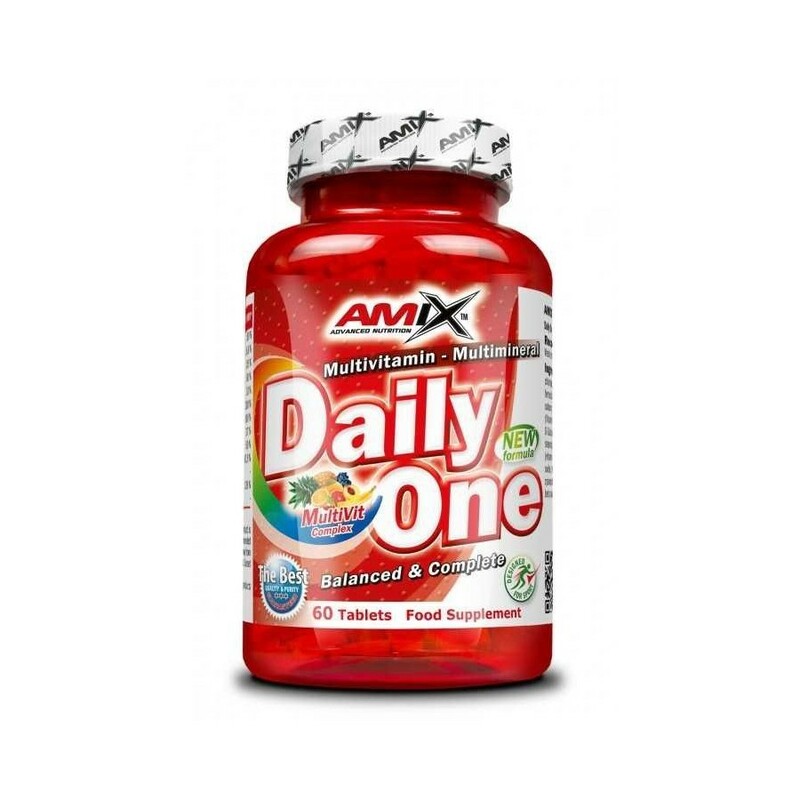 One of Amix Daily Vitamins is a multivitamin sports supplement made from a unique combination of vitamins, minerals and antioxidants all natural and unique. This product you can buy in Nutricion24 provides both athletes and people walk the level of vitamins and minerals for the body running smoothly and have no health problems. This sports supplement distributed Nutricion24 is aimed at all those who want to strengthen your body with the vitamins and minerals of highest quality on the market. 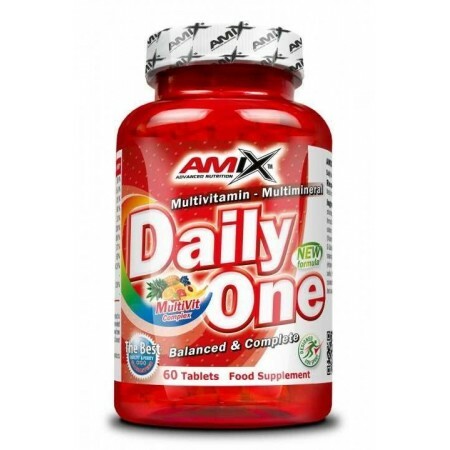 One of Amix Daily Vitamins brings an extra dose of energy and fully covers both physical and mental needs of our body. It also helps concentration and is responsible for delaying the onset of muscle fatigue. Among the main benefits that users find to start taking vitamins Amix Daily One of sale is Nutricion24: provides a lot of vitamins and minerals essential to the body; athletes gives them a dose of extra energy; delaying muscle fatigue; It has great quality. Like taking vitamins Amix Daily One of sale Nutricion24: experts recommend taking one capsule a day. Accompany with water making for easy digestion.